Terry Brown, our new Destination Officer, recently visited Mexico, meeting local and regional government, NGOs, hotel associations, hotel representatives, tour operators and local entrepreneurs. 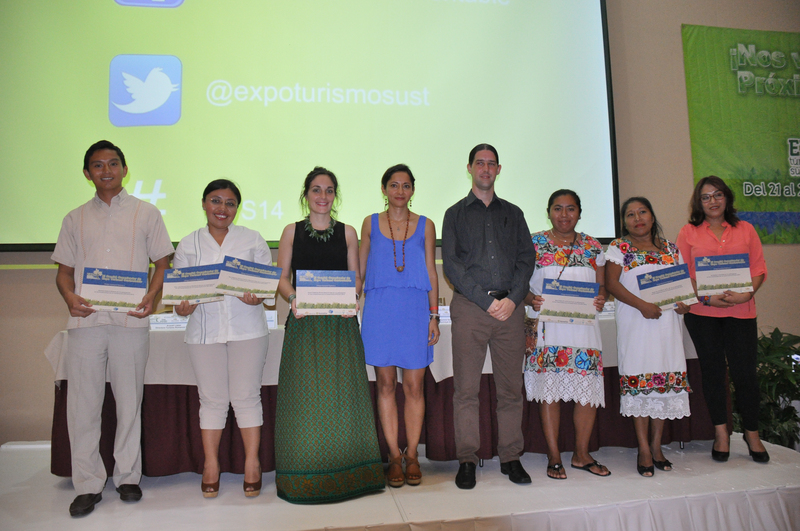 The focus of the visit was the 7th Sustainable Tourism Expo (formerly known as ‘Green Expo Riviera Maya’), which is a platform to bring together green businesses, local producers and the tourism industry. As part of this event The Travel Foundation presented 11 awards to tourism businesses, NGOs and local businesses who fulfilled their ‘commitments to conservation’, made the previous year. See this video (in Spanish) to find out more about the successful green pledges. We were pleased to see the Abejitas Melipona honey cooperative ‘Much Kaab’ and the Pitahi ‘jungle jams’ group proudly presenting their products at the expo. The groups attracted lots of interest in their products, achieving so many direct sales they had to send for more stock. Both groups also now have commercial agreements with various hotel chains thanks to the Green Pledges initiative and hard work of our Programme Coordinator in Mexico, Yuri Flores. Beekeepers at our Melipona bee project in Mexico are benefiting from a donation of 15 worm composting boxes and one ton of worm fertilizer thanks to local NGO Aldea Verde. The new equipment will allow Much Kaab Cooperative to deal with waste generated at home and as a result of their soap and skincare production. The worm boxes will produce organic, chemical-free fertilizer, which can be used to improve soil conditions in the group’s bee nursery and vegetable gardens. Aldea Verde CEO Francisco Niembro presented the donation in person, and delivered a workshop to give the beekeepers a better understanding of vermiculture and worm handling, and how this will benefit the Melipona bee project. 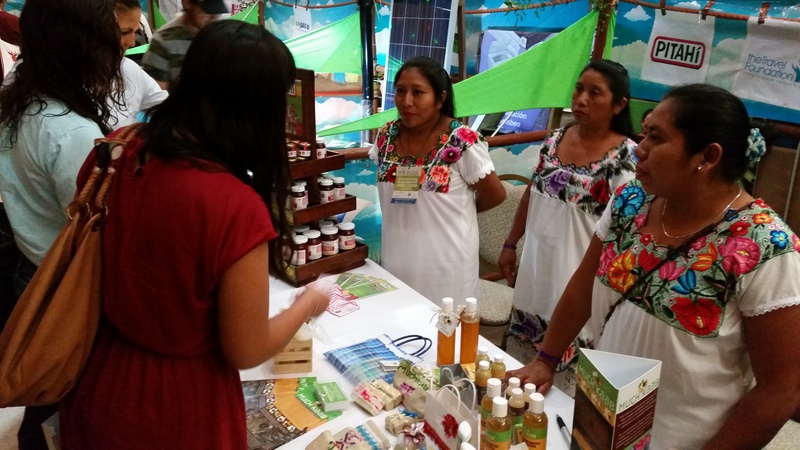 The alliance between Aldea Verde and the beekeeping cooperative is a result of Green Pledges arranged by the Travel Foundation at Green Expo 2013 in Mexico, with the aim of creating links between NGOs, local producers and the travel industry. Compostamex and Palace Resorts helped with logistics, as the donation had to travel from the centre of Mexico to the Yucatan Peninsula.